Shadow of War, Yakuza 0, Hitman 2 and more on sale. With the holidays fast approaching, we’re rolling from one sale into another. Fanatical kicked off its winter sale this week, reducing loads of games and promising more in the days to come. And on top of the flash sales and deals, you can get an additional 10 percent discount with a coupon. PC Gamer Club members get a unique 12 percent discount coupon, so check your inbox later today. 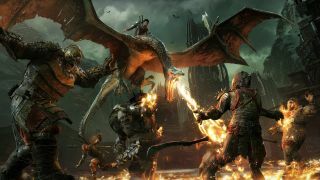 If you’ve got a grudge against orcs, Middle-earth: Shadow of War - Definitive Edition might be just what you’re looking for it. It’s at an all time low with its 75 percent discount. That deal runs out in just over a day, however, so don’t wait around. But if you prefer karaoke and organised crime, check out Yakuza 0, instead. It’s 46 percent off with the coupon. There are publisher sales, too. Get discounts on THQ Nordic games, including Ori and the Blind Forest: Definitive Edition, the pretty platformer, and spooky mystery The Vanishing of Ethan Carter. New deals are being added every day, so keep an eye out.